Women on a Mission: Mom Edition: MUFFIN PAN EGGS! One of my favorite foods is a bacon, egg, and cheese biscuit. 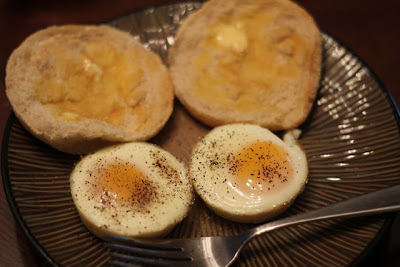 And these eggs are so perfectly round they are ready for the biscuit, bacon, or even English muffin. Anything to make life easier…and these eggs make life easier. 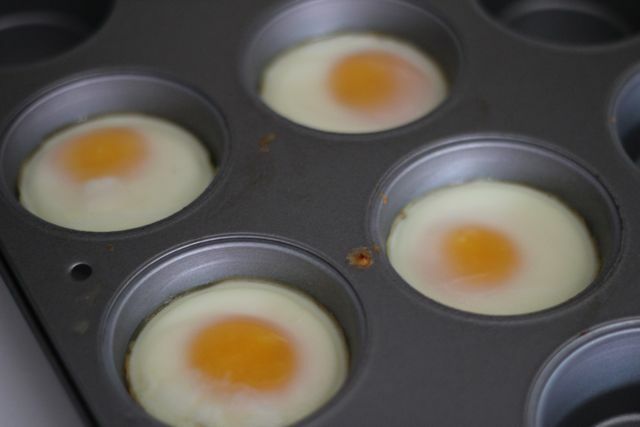 I love a good over-easy egg that I can dip my toast in and the egg pan creates the most perfect egg. It is circular, if you are careful—the yoke is perfect, and no need to flip. 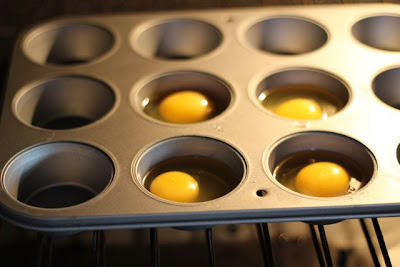 Simply take a muffin pan and use cooking spray or grease with butter. Drop the eggs in (one/cup). And bake. I baked at 375 degrees. Watch the eggs and when they are ready simply pop them out. The best part is that they slide out of the pan easily and look very pretty on the plate. Next up…bacon, toast, and eggs all in one. It seems simple enough!